Begins: Sunday 14 October. No sailing school Labour weekend. Ends 16 December. Begins: 17 February. Ends 14 April. A copy of the enrollment form is on our documents link above. If your place has been confirmed please download and complete this before your first session. 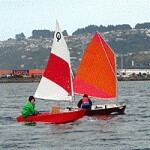 The Otago Yacht Club has been teaching people how to sail for over 20 years. Past students have gone on to race at local, national and international events while others have gone on to cruise around New Zealand and further a field such as the Greek Islands and Hamilton Island. Who are Sailing Lessons suitable for? 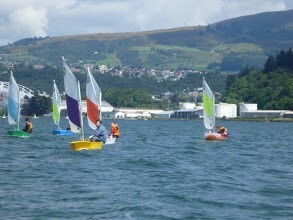 The Otago Yacht Club’s Sailing Lessons are suitable for people aged 7 years through to adults. We have many families coming along to learn together. All you need is warm clothing, a towel, a change of clothes and a pair of old shoes that can get wet. The yacht club will supply the boats and buoyancy aids, if you have your own you are most welcome to bring them along. What boats will I be sailing? You will be taught in a variety of yachts (one person and two person boats), aimed at giving you a variety of sailing experiences. The club owns Optimists, Toppers, Sunbursts, 420’s and two Monarch 17 Trailer Yachts. 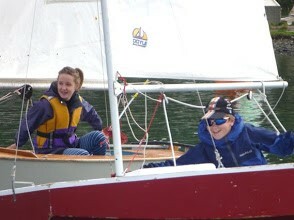 At the end of the year students will be given an opportunity to sail on keelboats and trailer yachts. 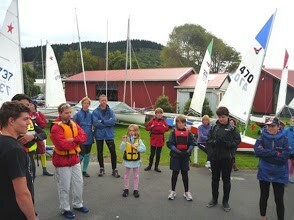 The Otago Yacht Club has two intakes in a season – one prior to Christmas and one after Christmas, both during school term time, 8 weeks long. The start date 2018 Sunday 14 October, 2019 Sunday 17 February. The course is held on Sunday mornings 9am to 12noon. Course content for beginners includes topics such as : Wind direction – Rigging an Optimist – Sailing skills – Rope work – Safety – Basic sailing rules – Launching and recovery – Naming of boat parts. Learn to Race course. 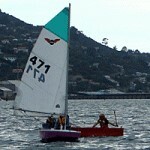 Typically students will have attended Sailing Lessons for 2-3 seasons before entering this course. 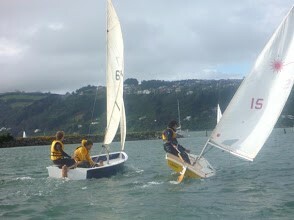 The Otago Yacht Club’s Sailing Lessons are run by experienced sailors who have completed and gained their Yachting New Zealand’s Club Instructors qualification. We follow the safety ratios as stipulated by Yachting New Zealand with a maximum of six sail boats per rescue craft. 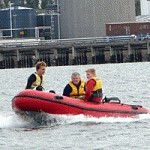 (Each rescue craft should be manned by two adults.) and always have support boats on the water when there are students on the water.